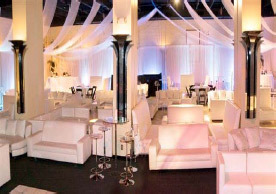 Welcome to Palm Beach’s most diverse Bar or Bat Mitzvah destination!! 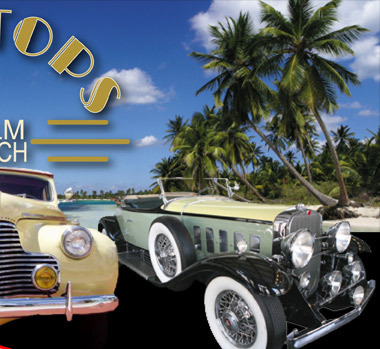 The Museum at Ragtops Motorcars is the host to a variety of fun endeavors. “A must see destination!” according to the New York Times. 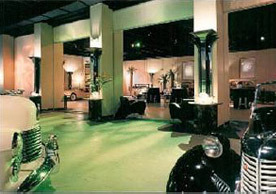 Starting with its Historic designated three story Museum built in 1925 as the Palm Beach Cadillac- LaSalle dealership, the largest building of its kind at the time North of Miami. 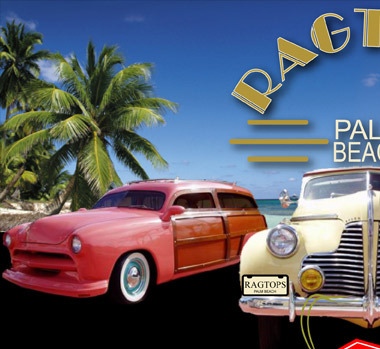 Ragtops has evolved into an ever changing delight. 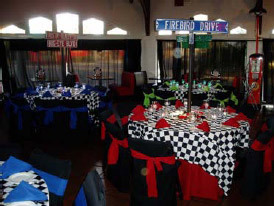 Originally founded as an antique and special interest collectible automobile dealership, it drifted into the special events industry almost by accident. Now capable of entertaining up to 1,500 guests using both the three story building and the Tropical Art Deco venue also on property, the constantly changing automotive inventory creates a very impressive backdrop to the actual events held on a constant basis. After re-energizing the entire organization by the addition of a new operating event arm, the Museum embarked on a series of large scale renovations that have long time vendors applauding the upgrades. Both venues have received attention to the exterior of the properties, along with numerous interior amenities. With the constant flow of music throughout both venues, it is almost impossible not to tap your foot, and almost break out into song, as you stroll down memory lane. Not only is Ragtops (for those unfamiliar with the term, it is an American almost slang word for convertible automobiles) a Museum and an Internationally known special events facility, the main building is the home to a Wi-Fi ready, unique Café Carbucks, where the public will be able to spend more time enjoying the architectural pleasures of the site, surrounded by absolutely beautiful vintage automobiles.